Pop the bottle to raise the soda. 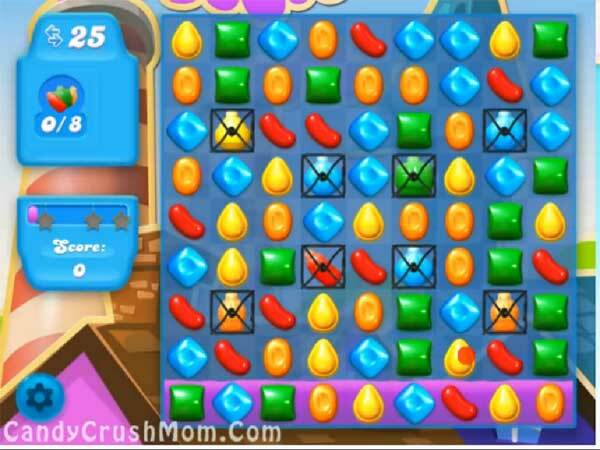 This level is almost same to previous level and you need to combine soda bottle with same normal color candy. Try to play from top so candies will shuffle everywhere and will make easy to combine the bottles to fill up the soda.